Loss on sale/disposal/discarding of assets. 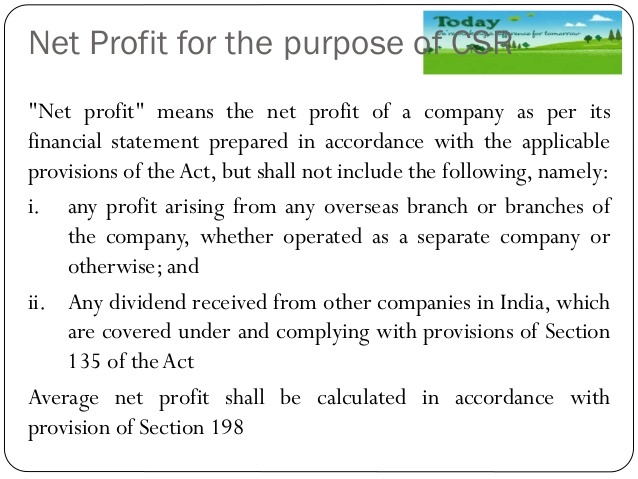 After calculating the profit as said above, the limits specified in the Companies Act 2013 in respect of managerial remuneration can be applied to know the maximum allowable remuneration. Here, in this case, Rs 1.23 Crores can be used to arrive at percentage of managerial remuneration to be payable by the company under section 198 of Companies Act 2013. If the actual remuneration is more than maximum allowable remuneration (i.e. Rs 1.23 Crores), then the Company has to obtain the prior permission of Central Government. In case the company has failed to spend the two per cent of the average net profit of the last three financial years or any part thereof, the company shall provide the reasons for not spending the amount in its Board report. 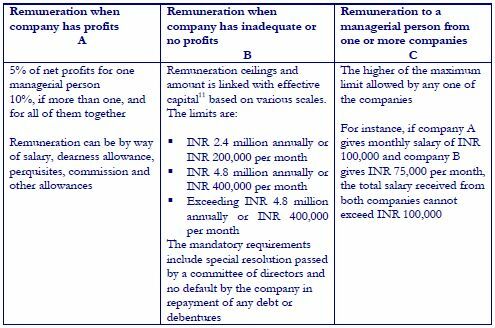 In case of company is not having adequate profits or to pay remunerations to its directors within the limit of Schedule V Part II of the Companies Act ,2013 , Company has to pass a special resolution in the general meeting.